God saves people for a reason. He wants to use our lives to proclaim His glory and power and grace and love to a world that is lost and dying. He calls us out of the darkness of our sin into the incredible light of His salvation. Without Jesus, we are adrift in a a sea of pointless, selfish living. But once our God makes us born again through His Holy Spirit and by our faith in Jesus’ death and resurrection, we become part of His special people. We become to Him a holy people, able to worship Him in spirit and truth. We realize that the Father has showed us amazing mercy and grace through the gift of His Son. He has erased the debt of sin that would have earned us judgment and punishment. More than that, He has also saved us from the control that sin once had on our lives. The mission for us now as Christians is to live as the special, holy people that our God has called us to be. All around us, we have friends, family, teammates, and neighbors who do not know Christ. These people are lost in the darkness just as we were until we believed the gospel that brought us home to God. We must turn from sin and live holy lives, acting like our Jesus who saved us. By avoiding evil and doing good to others in Christ’s name, the unsaved people around us will see Jesus. We plead with God that our selfless, honorable living will then earn us the chance to share Jesus with them, that they might repent and believe and become part of God’s special people, too. • Darkness is often used in Scripture as a symbol for sin and evil, while light is a symbol for holiness, purity, and salvation. If you ever read through the gospel of John, you can see these symbols all over the place. The apostle Paul also uses darkness and light a lot in his New Testament letters, too (check out Ephesians, for example). • Remember that Peter’s original audience was a group of churches scattered across Roman provinces in what is today Turkey. Many of these Christians had probably been Jews, while others had been saved from among the Gentiles (non-Jews, like most Christians today). The idea of being a chosen nation and a royal priesthood comes from the Old Testament nation of Israel, which was supposed to be a witness of light to the pagan nations that surrounded them. Now, the church has the mission of being the people of God shining the hope of Christ to a world blinded by the darkness of sin. • The “day of visitation” could refer to the coming return of Christ, but the Greek word that is used as well as the context of the passage point to something else. Peter is probably talking about the hope that God will “visit” or bring salvation to lost people around us after they see Jesus in our lives and hear about His saving power from our words. 1. If you have accepted Christ, how does knowing that you are part of God’s chosen people make you feel? How does it affect the way that you now see your life? How does it affect your future plans? 2. 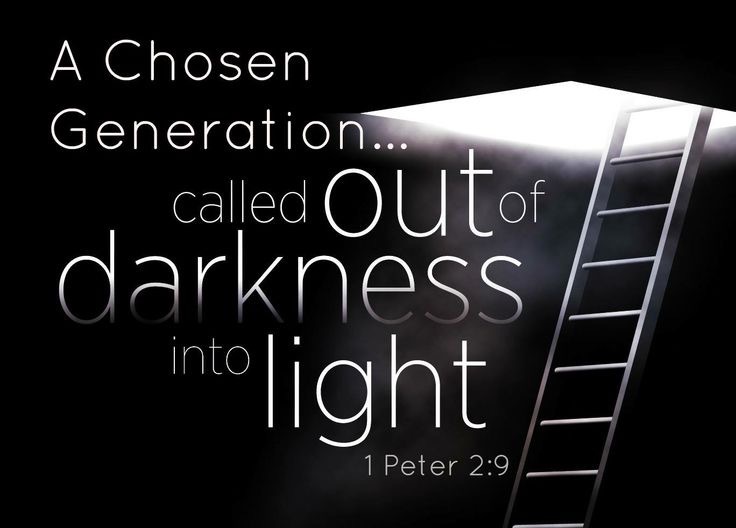 In what ways has your life become “light” instead of “darkness” now that you know Christ? 3. What are the biggest sins that are currently “waging war against your soul”? What are you doing to defeat these sins? If you find yourself in constant defeat to certain sinful actions, words, or thought patterns, you may need to seek help from a Christian mentor like a parent, youth pastor, Bible study leader, or teacher. Friends can provide good accountability but may not have the spiritual maturity to be able to give you the help that you need to gain victory. Eventually, we all must decide what to do with Jesus Christ. We all must kneel before the Lord one day and give account for our lives. The only question is how. You can bow the knee of your heart willingly now in this life, recognizing that Jesus is God and that you need His mercy and grace to pardon your sins. If you truly give your life to Christ, then He becomes the foundation of your whole life. He becomes your cornerstone, more precious to you than all the treasures and pleasures of this world. He will call upon you to change, to give up your sin and follow Him in obedience. He will call you to a life of daily surrender and dying to self that you might live for Him. In return, Jesus will give you eternal life, both now in the joy and peace He gives your spirit, and in the future when He welcomes you into heaven as a faithful servant and adopted son or daughter. But if you reject Jesus’ claim on your soul, then you will still bow to Him one day, but as one of His countless conquered enemies and rebels. Students often ask what happens to people who have never heard about Jesus. I think based on the urgency of the call to spread the gospel to all the nations that we see in Acts and the New Testament letters, based on the testimony of passages like Romans 1:20 that all people are “without excuse” because they see the Creator from creation and yet will not worship Him, and based on our own observations of the great truth from Romans 3:23 that “all have sinned,” that we know the answer. They perish without the Lord. This is why we as the church must do everything we can to bring the name of Jesus everywhere, “for there is no other name under heaven given among men by which we must be saved” (Acts 4:12). But even if you disagree with my answer above, the question does not apply to you. As a student at NRCA, you have heard the gospel many times and in many ways. You have heard the gospel in chapels, classroom lessons and discussions, conversations with teachers and classmates, and this blog (check out the first paragraph again!). The question you face as someone who has heard the gospel call is, “What will you do with Jesus who is called the Christ?” To fail to make a decision to follow Him in obedient faith is to make a decision to reject Him. To you who disbelieve and disobey, Jesus will become a “stone of stumbling and a rock of offense.” Without Christ, you will carry the burden of your sin all of your days on this earth. You will learn by experience that “many sorrows shall be to the wicked” (Psalm 32:10). And then you will face judgment before God’s great white throne. Without the blood of Christ covering your sins, without His righteousness to clothe you in robes of white, you will not pass the test. You will be justly judged and condemned to hell. 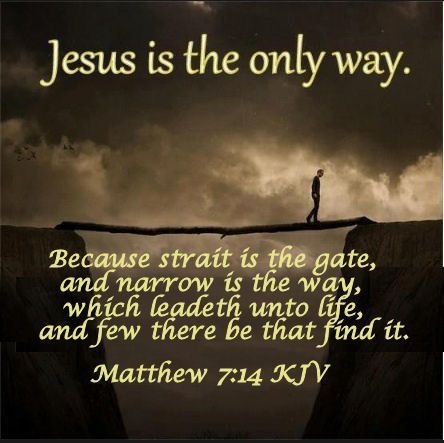 Consider these sobering words from Jesus: “Enter by the narrow gate; for wide is the gate and broad is the way that leads to destruction, and there are many who go in by it. Because narrow is the gate and difficult is the way which leads to life, and there are few who find it” (Matthew 7:13-14). I beg you, be certain that you are on the narrow road that leads to life. It’s worth it now and for all eternity. Pick up your cross and follow Christ today! • The Bible often treats unbelief and disobedience as synonyms. To disbelieve God and His Word is to disobey His command to turn from our sins and trust in Him. • Jesus Christ was rejected by the Jewish nation as a whole, though some Jews did accept Him as the Messiah and they became the first Christians. Peter’s point can be applied to all groups and individuals who have rejected Christ throughout the past 2,000 years. Christ is either the cornerstone or key building block upon which your whole life is built, or else He is the rock that causes you to trip and fall spiritually and miss the salvation that God offers you. Jesus is the great fork in the road to eternity. 1. What obstacles did you face in first trying to come to Christ for salvation? What obstacles are you facing now in trying to continue to walk with Him in obedient faith? 2. What reasons have you heard lost friends or family give for not wanting to accept Christ? 3. Is Jesus Christ your cornerstone? Is He the rock upon which your life is being built? How do you know? Have you ever wondered why you feel so good after spending time with other people who know Jesus? What causes that sweet fellowship, that bond of love and joy that you feel around other sincere Christians? Why do you like coming to NRCA so much, especially those of you in sixth and seventh grade, where God’s been transforming so many hearts in the past six months? (Eighth graders, we are praying that even THIS WEEK, God will do a great work in your class, too!) What is it about a church worship service, Bible study, service project, or shared meal that lifts you up so much? The answer is simple: When you gather with other Christians, you’re spending time with your people, the family of God. Through the connecting power of the Holy Spirit living in us, we are the people of God. And as God’s people, together we are also God’s own holy house. Our God lives among His people. That’s what Peter tells us in this passage. In the Old Testament, the Lord gave His people a traveling center of worship, a fancy tent called the “tabernacle.” Later, it was replaced with a temple built by Solomon, which was then destroyed by the Babylonians and had to be rebuilt after the Jews returned from 70 years in exile. But these were just symbols and shadows of what was to come. When Jesus Christ came to this earth, He became the everlasting center of worship for God’s people. The Gospel of John tells us that Jesus dwelt or “tabernacled” among us (John 1:14) in the flesh by coming as our Savior. Once He died and rose again, Jesus became the foundation of a new, spiritual temple in which God would live. When you accepted Jesus Christ, God came to live in you by placing His Holy Spirit in you. That made you a Christian, and one of many “living stones” that are being built upon the sure foundation of Jesus Christ, the cornerstone. While Jesus was rejected by the world as a whole and even by most of the Jewish nation, He was chosen and precious to His Father in heaven. And Jesus became precious to you when you received Him as Lord. Now you are part of the true church of Jesus Christ, the invisible, eternal body of believers in whom our God lives. By simply putting all of your faith and trust in Him, you became part of the temple of the Lord. As Christians, we are God’s spiritual house! • The tense of the words “coming” and “being built” implies action that has already happened but is also continuing to happen. The idea is that we first came to Christ and became part of God’s house when we got saved and were born again by the Holy Spirit. However, we also keep coming to Jesus each day for fellowship and so we are “living stones” that continue to grow in Christ. 1. How might thinking of yourself as part of God’s temple affect the way you think about your own holiness and sin? 2. How might this passage influence the way you think about your choice of friends and with whom you spend your time? 3. How might this passage encourage Christians to faithfully attend weekly worship services at a local church? Hunger for the Word of God is one of the major signs that you are indeed saved. Lost people have no desire to read the Bible. It seems boring to them. But once you have accepted Christ and been born again, then God’s Holy Spirit now lives inside you. That new nature that God has given you craves connection with the Father and the Son. Like a newborn baby can only be fed by milk, Christians will recognize inside of them a spiritual longing that only the Bible can fulfill. That ache and emptiness you feel when all of the day’s activities have ended and you’re alone with your thoughts, that is the longing for fellowship with Jesus. You’ve already been united with Christ by faith, but now you experience a need to spend time with Him, to build that relationship. We spend time with Jesus and grow in Him by meditating on Scripture and responding to what we read in prayer. As we spend time with Christ each day, we begin to see our attitudes and thoughts transform to be more like Him. We put away sins like hatred (“malice”), dishonesty (“deceit”), fake behaviors (“hypocrisy”), jealousy (“envy”), and mean words (“evil speech”) because they hurt our fellowship with Jesus. If we have really experienced God’s grace and love in our lives, then we should now want to show grace and love to others. Just like you build healthy relationships with your family and friends by spending time with them, we maintain and grow a healthy relationship with God by spending time with Him through reading His Word. • Notice the two choices the believers have in verses 1-2: Long for the Word of God or else fall victim to the the old sinful way of life. If our hearts are focused on loving Christ and feeding on His Word, then we don’t have room in our lives for sin. But if we love our sin then we lose sense of our hunger for the Word and we lose fellowship with God. We are still saved and united with Christ, but He begins to feel far away and distant. Let the Bible shape your thoughts and actions and you will experience the joy of the Lord’s presence. • The metaphor of “tasting” God’s grace is another way that Peter describes salvation. He is saying that if we have really been saved, then we have experienced the joy of knowing God’s forgiveness and grace. We understood His grace when we first came to Christ, and we continue to understand it as we see His kindness at work in our lives. 1. Do you enjoy reading the Bible? Why or why not? 2. Think about times in your life when God felt far away. How does today’s passage help you to understand what might have been going on in your life during those times? 3. 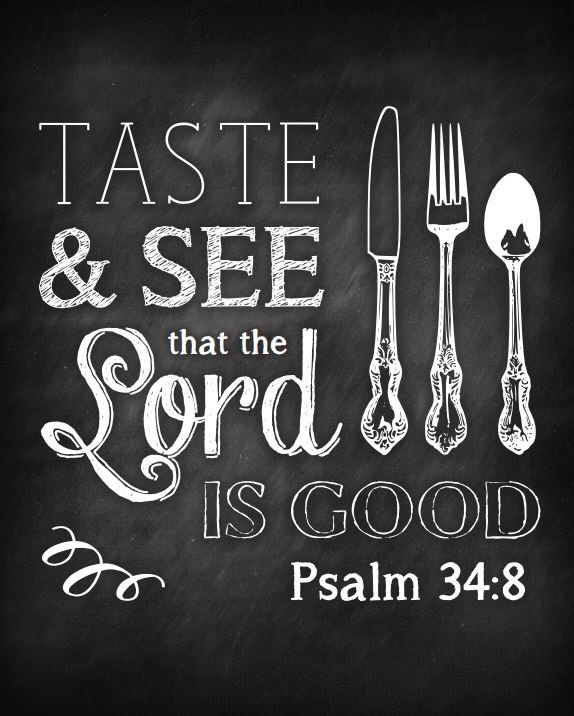 What evidences of God’s grace have you “tasted” (experienced) since becoming a Christian? Born again. It makes all the difference in the world. To enter the gates of heaven, we must be born twice. 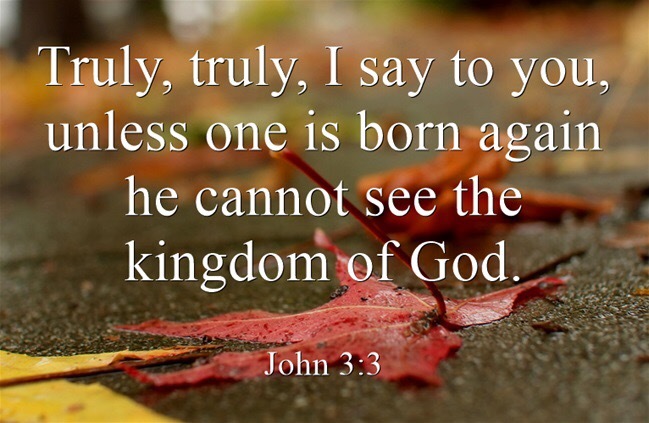 Jesus said so to the struggling, seeking old Pharisee Nicodemus in John 3:3: “Most assuredly, I say to you, unless one is born again, he cannot see the kingdom of God.” All of us have been born once, but most people have not experienced the second birth. By the miracle of the natural birth, we gain physical life. But it takes an even greater miracle for a person to be be born again into spiritual life. How does this mysterious second birth from above happen? We don’t totally understand how it happens, but we know the tools that God uses to make it happen. The Word of God is preached to or read by the lost person, and then the Holy Spirit convicts their heart to feel deep guilt and sorrow over their sin. The Holy Spirit brings this conviction, which causes the person to turn away from sin (that’s called “repentance”) and put their trust in Jesus Christ for salvation (that’s called “faith”). As this happens, the Holy Spirit brings the person to life by coming to live inside them forever. Their soul is purified and given the desire and power to obey God, especially His commands to love Him and love others. Our natural life is so short, like grass or flowers that flourish and then die in a season. But our spiritual life lasts forever because it is is given to us by the eternal Word of God. As our Spiritual Emphasis speaker has stressed this week, the glories that we chase in this life will not last. But the things that we do for Christ, and more importantly, the things that He does in us, will last for all eternity. • Peter has now twice emphasized the importance of the new birth as the cause and beginning of our spiritual life and growth as Christians. Similar concepts like “redeemed” and “sanctification” and “purified” have also been used to describe the idea that people must be converted or changed by God from being dead in sin to being alive in Christ. This is a work of God’s grace that no amount of our good works or effort can achieve. 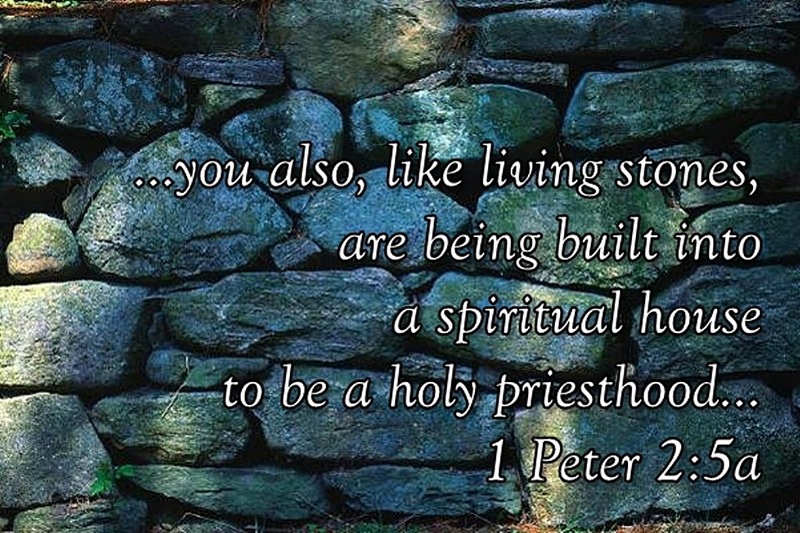 • It is also important to see that almost every time that Peter, Paul, and the other New Testament authors talk about the concept of the new birth (even when they use a different word for it), they discuss it as the motivation for us to live holy lives for God. If you have been born again, there will be spiritual change. You will never be “sinless” until you die or Christ returns, but over time you should see signs that you are “sinning less” both outwardly and in your heart. The bearing of spiritual fruit is the proof that you are indeed a branch connected to the Vine, Jesus Christ (see John 15:5). 1. Whose salvation have you been praying for? What do you pray for when you pray for that person? I know what you are praying for because it’s the same thing that I pray for – “God, please save _____!” Today’s passage passage reminds us that salvation is a work of God. Only God can give someone the new birth. That is why we have to stay on our knees for the salvation of our lost friends and family. We are pleading with God for miracles that only He can do. 2. Have you ever tried to explain the concept of being born again to someone else? What did or would you say? 3. What evidence have you seen in your life that you have or have not been born again? Remember that at NRCA, any of your teachers are willing and able to talk with you about your salvation. It is the most important thing to God and to us! We love you in the Lord and want to help you know Christ and grow in your relationship with Him.